The Tredstep Denim II Knee Patch Breech has a soft, super comfortable stretch denim that will be perfect for schooling in style at home. A subtle, clean washed fabric, completes the look and only adds to an already popular everyday riding breech. The updated breech allows unrestricted movement coupled with careful styling and design features which allows the breech to exceed Tredstep's high performance standards! Tredstep Denim II Knee Patch Breech is rated 3.0 out of 5 by 1. 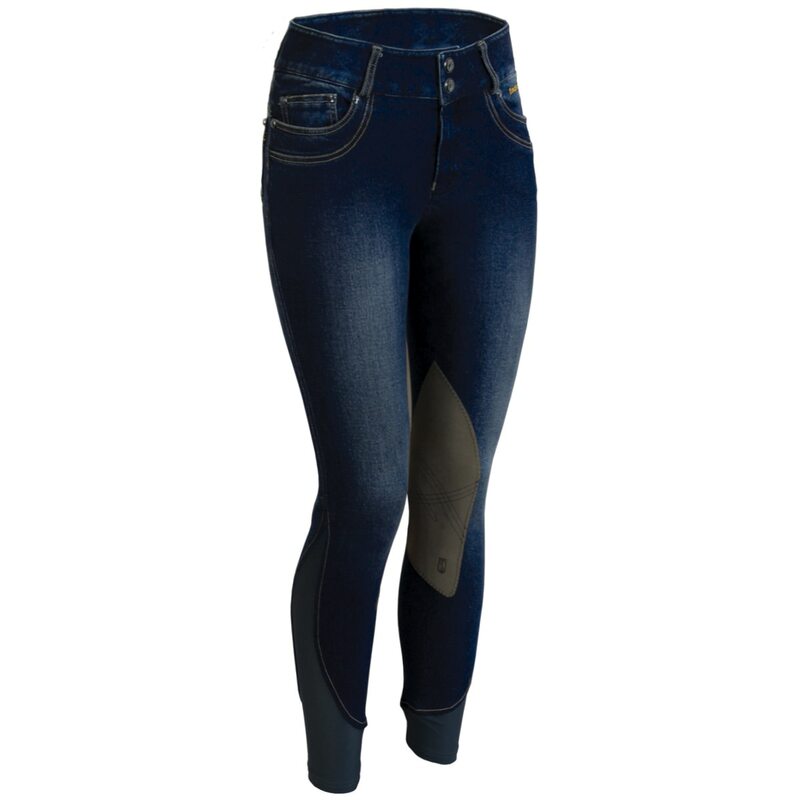 Rated 3 out of 5 by goss7414 from Run very small compared to old style I purchased these because I love the Tredstep denim breeches I already have. I ordered the same size I currently have and these are extremely small. So small in fact I'd probably need to order up 2 sizes. Not sure why they redesigned them in this way. The old ones were perfect in my opinion. I was just looking to get the nice brown color. Returned for refund.